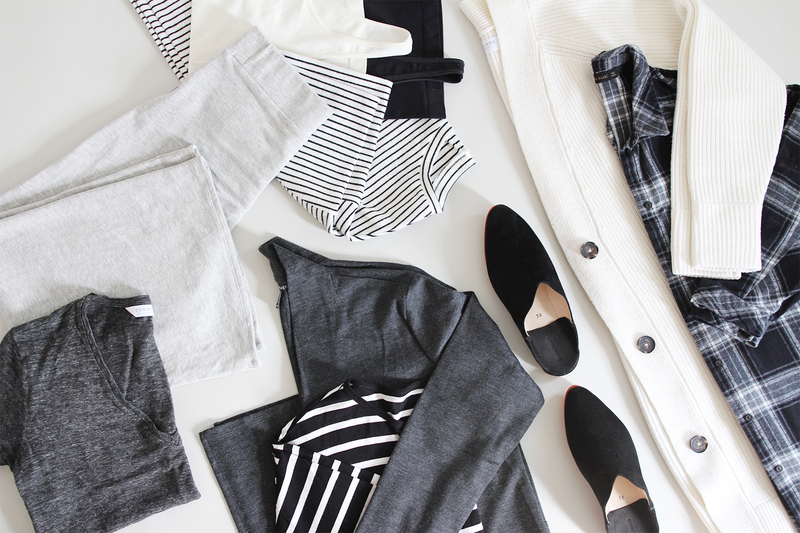 Ready for a really comfy week? Awesome, me too! After enjoying a March break blogging vacay last week I’m definitely still in the mood to embrace some low-key style and lots of my favourite casual looks, which I’ve never shared on the blog before! But before we dive into outfits, I’m going to give you an update on my Responsible Loungewear Capsule. Having had no first hand ‘capsule’ experience until now it’s been a great learning exercise. 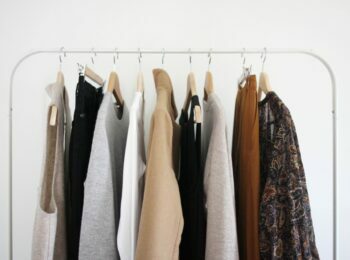 Once I decided I was going to give this section of my wardrobe some much needed attention, see Part 1 here, I started really digging in and trying to get to the bottom of what works and what doesn’t when it comes to loungewear. Thank you for all your suggestions too! Creating this mini capsule has been really interesting. It has meant I’ve had to pay close attention to how I gravitate towards different styles and outfit combinations, to plan ahead and make some very calculated omissions and additions to this section of my closet. Previously I’d barely given it any thought but now, about a month later, I’m happy to report that the experience so far has been fabulous! I’ve made some great progress and I’m at a point now that I think I’ll be content with my comfy capsule for at least the next full season and then some, which is exactly what I was aiming for. Logistical Mayhem. I was pulling pieces from all over the place for after work or weekend use. I always felt like I was ‘stealing’ from my real closet but then I wouldn’t wear many of the pieces for work anyway. Basically it was just a jumbled mess in both my head and in reality. Plus the pieces I enjoyed wearing were few and far between so most of the time they’d be in the laundry bin and I’d be out of luck! No Designated Spot. I hadn’t assigned a specific place in my closet for my comfy clothes which made them hard to find and when I can’t find something within a few seconds, well, I just wear something else. So pieces I love were getting forgotten and going unused. Needed A Major Edit. My main closet is a lean machine but my workout, loungewear and sleeping clothes hadn’t been properly edited or organized in way too long. It was time to say goodbye to a few items in my loungewear that I didn’t love but had hung onto for one reason or another. Any ill-fitting, stained or just plain old unwanted t-shirts went into the donation bag. I moved my leggings, long-sleeved tee and graphic sweatshirt to my camping gear. I relocated my Birks back to my Summer footwear section. I’m considering saving the cozy moon boot/slippers for next Winter but since they’re not really my style they might get donated too. Especially since I have slippers I love now. I also brought in a few tops and a sweater from my main closet. More pet-friendly materials, meaning heathered grey and charcoal to camouflage lint and fur. 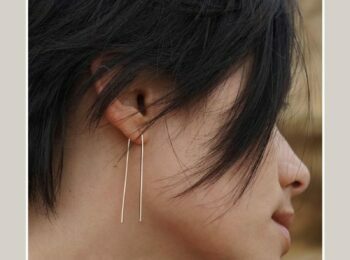 Sleek, contemporary design so I can feel both comfortable and chic. Easy to maintain items that are extremely versatile and easy to mix and match. 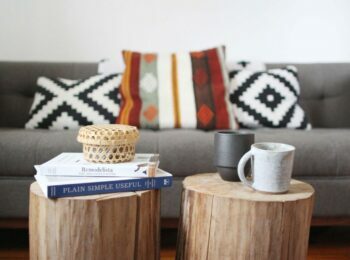 Interchangeable palette of neutrals and classic patterns like stripes and plaid. So from there I started shopping. Now, I wouldn’t expect the average person to add this many items, this quickly. 6 months would probably be a more natural timeline in reality. But since I’m a blogger, with some awesome friends behind some beautiful brands, I was able to take broader steps towards a completed loungewear capsule in a short time span. 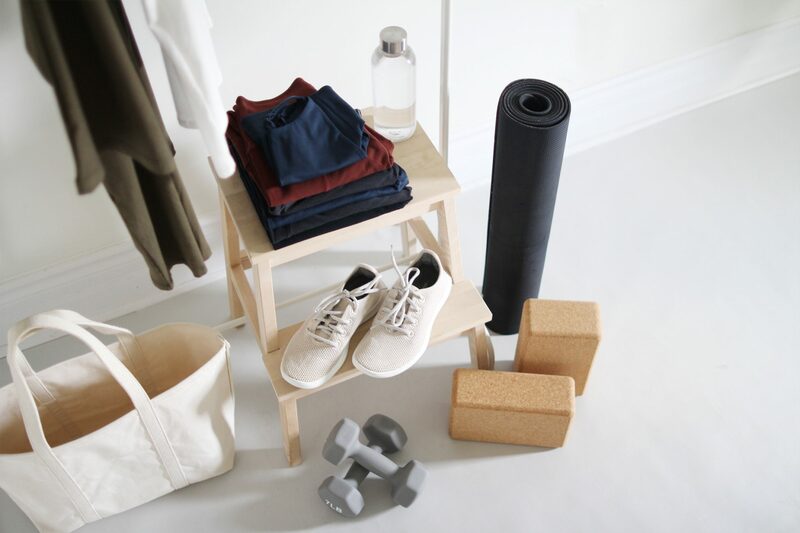 2 box-cut tees from Everlane. Bought by me. A gorgeous French Terry Top + Bottom Set c/o Corinne. Made responsibly in LA by the amazing Susan Kim (founder and 1-woman show). See below for an exclusive Style Bee discount. 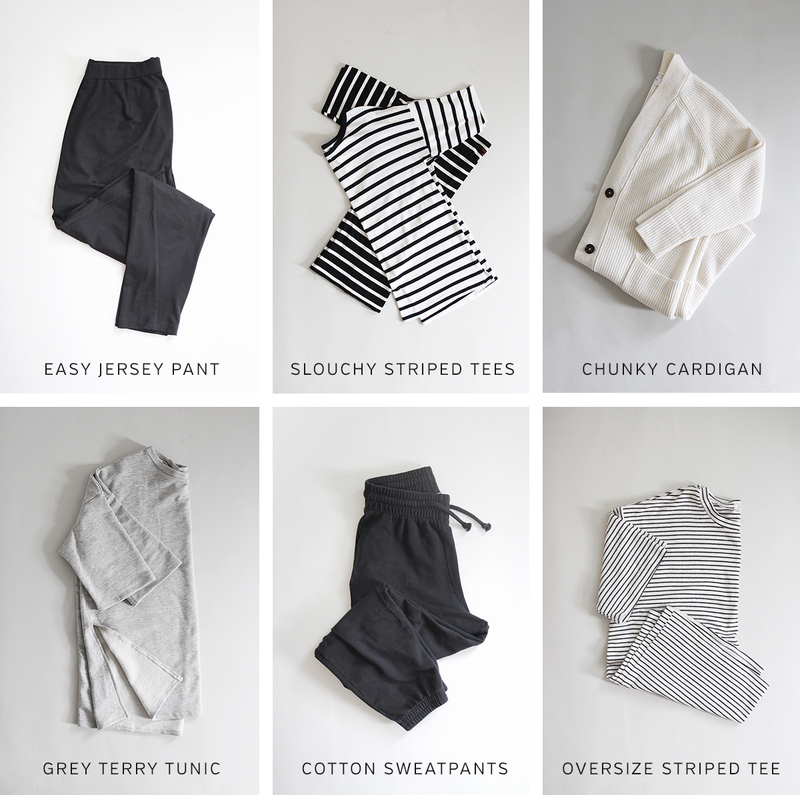 1 pair of Dressy Sweatpants c/o Encircled. Made in Toronto! Babouche Suede Slippers by Carrie Forbes. Responsibly made in Morocco. Bought with Garmentory store credit. Long Grey Duster by Eileen Fisher. Bought on sale by me. There are a few things on my loungewear wish list that I’ve decided to save for later this year, when we’re facing another cold season. Those items include: warm, wool socks, long-sleeved tees and flannel leggings. I also left out sleepwear from this update in particular because I’ve decided to tackle that section of my closet separately. I’m assessing my needs now that Spring is arriving and as it turns out, it’s not all that easy to find sleepwear that’s made responsibly and fits my criteria. So I’m holding out until I do. Plus, there’s more than enough to talk about on the loungewear topic as it is. So I hope you don’t mind that we’ll be saving sleepwear for another day soon! 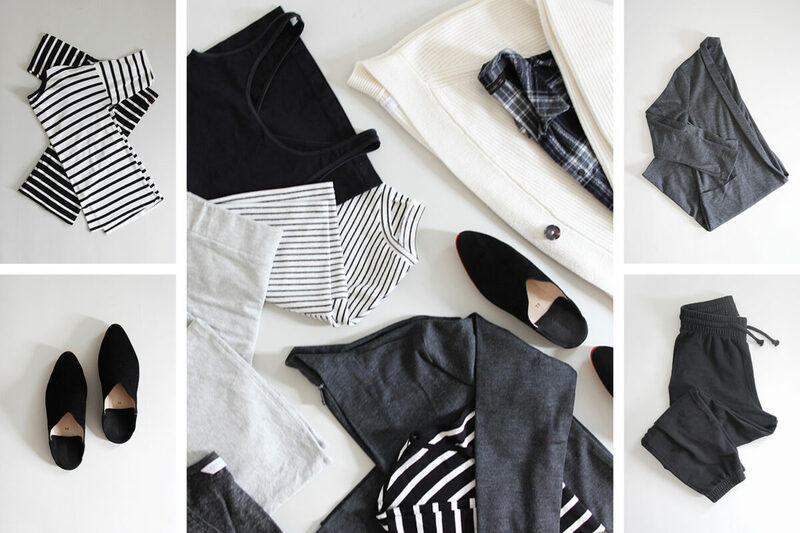 With that, let’s dig into my updated loungewear capsule! GREY TERRY CULOTTES (aka Lela Trouser) | NEW | c/o CORRINE | These are quite literally the most gloriously soft pants ever. My friend Susan (mastermind behind Corinne) hand makes the most incredible, ultra comfy but totally stylish pieces out of this exclusive heavy French Terry and I’m obsessed. I wear a Small. Made responsibly in LA. More on these tomorrow! SLOUCHY TEES | OLD + NEW | I can’t help it, Everlane just makes the best t-shirts. I decided to add 2 new Box-Cut Tees (white and charcoal) to my capsule and moved an old relaxed linen tee over from my main closet in hopes that I’ll get more use out of it. Made responsibly and imported. For the box cut tee I size up to a M for the slouchy fit that I love. BABOUCHE SLIPPERS | NEW | Carrie Forbes via Garmentory | These slippers are total GAME CHANGERS and exactly what I was looking for. I had them in my Garmentory cart for ages and finally pulled the trigger with some store credit. I’ve honestly worn them almost all day every day since. They’re the perfect shape that feels a little bit polished but still super lightweight and cushioned for mega comfort. Each pair is handmade in Morocco. Size up for a true fit (I have a 38 and wear a US 7). Available via Garmentory (all sizes restocked!) and Bronze Age offers a similar pair for less (no comfy sole though). Receive $20 OFF your first order when you sign up here. MODAL SWEATPANTS (aka the Dressy Sweatpant) | NEW | c/o ENCIRCLED | At first I wanted to add a pair of Encircled’s Minimalist Leggings but after trying a couple of sizes I found they just weren’t meant to be (they’re revising the waist height for the next run so I’ll try them then, but it came up too high on me). Instead Kristi (founder of Encircled) generously offered to send me a pair of the Dressy Sweatpant to test out and I instantly fell in love. They’re made of a delicious Modal material that feels so amazing it’s hard to describe, but it’s something along the lines of silk and jersey mixed with terry. Anyway it’s awesome, the cut is super cool and they’re made right in Toronto! I wear a Small. More on these this week. FITTED TANKS | OLD | These have been in my closet for years now and they’re basically like new. I got them on a whim at Anthropologie and they’re still available. They’re the perfect fitted tee for under sweaters and tuck into pants easy since they’re not too long. I wear a Small. Imported. LONG GREY DUSTER | NEW | EILEEN FISHER | This piece was my loungewear ‘splurge’ because I’d been lusting after this perfect long, modern, charcoal duster/cardigan for months. I had it sitting in my cart for a few weeks and slowly but surely the price kept dropping (Nordstrom has some amazing Eileen Fisher sales) and when it hit 55% Off and my size was still available I pulled the trigger. Um, so yeah, best thing I’ve added to my closet all year and I haven’t gone a day without wearing it since it arrived. I wear an XS. Made responsibly and imported. More on why luxury loungewear items are worth it this week! EASY JERSEY PANT | NEW | c/o EILEEN FISHER | You guys I’m an EF addict and I’m not even ashamed! I received these pants as part of The System collab I did and they’ve been amazing. They’re the perfect incognito sweatpant because of the sleek shape and slinky black jersey. I wear an XXS. Made in USA. GREY TERRY TUNIC (aka City Sweater) | NEW | c/o CORINNE | This is exactly the type of tunic sweater I was hoping I would find for this capsule. I wanted something that would be contemporary in shape and fit but still super soft and comfy like a sweatshirt. This one is called the City Sweater by Corinne and it’s made of the same dreamy French Terry as it’s matching culotte counterparts. It’s basically heaven in sweatshirt. I wear a size Small and it’s perfectly oversize. Made responsibly in LA. More on this piece tomorrow! COTTON SWEATPANTS | OLD | Base Range | These are a true sweatpant, just updated with great detailing like a thick, flattering elastic waist, slim but relaxed fit and a perfect weight black cotton. Love these so much I might add the ivory pair one day. I wear a size Small. Made responsibly of organic cotton in Portugal. OVERSIZE STRIPED TEE | OLD | This old fella was a super cheap find and won’t be going anywhere until it’s irreparably stained or damaged. It’s just a giant striped tee that can be worn tunic style or front tucked for a slouchy look. No longer available but I linked to a responsibly made one I’d be buying from the men’s section. And that my friends, is my Spring Loungewear Capsule! FORMULA #1 – Oversize top (tunic sweater, oversize tee, boyfriend plaid) + slim comfy pant + slippers + usually topped off with a beanie for extra toastiness. FORMULA #2 – Base Layer (tank or tee) + wide comfy pant + cardigan + slippers. Turns out there are a TON of different ways to create those two formulas within this capsule. So over the next 4 days I’ll be sharing a couple looks every day that each embody one of these uniforms. It’s going to be so fun to play with a totally different genre of style and one that I dare say is under represented in the blogosphere. I hope you’ll tune in! SO LET’S HEAR WHERE YOU’RE AT ON THIS TOPIC! HAVE YOU ADDED ANY NEW LOUNGEWEAR GEMS LATELY? WHAT IS YOUR GO-TO AFTER HOURS UNIFORM? See something you liked? You can shop it and support Style Bee by using the affiliate links provided. This post is not sponsored but when you shop via the links above I may make a small commission from a sale. Thanks for your support! Just found this loungewear wardrobe. I needed help with finishing off my capsule wardrobe. I found m “at home” clothes so confusing and this organized everything for me. Thank you for rememering these details. 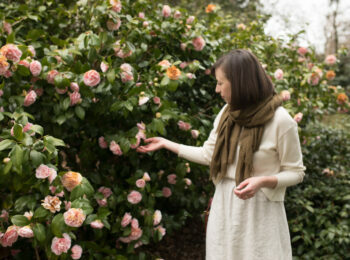 Paper Label is a company from BC that is ethically and sustainably made in China. They have PJs, loungewear and athletic apparel. This is J is a company that is made in Canada and carries PJs and headwear. I have been ruminating about this topic for a while trying to come up with my own loungewear/weekend wear. I noticed that since my workday wardrobe is more polished and buttoned up that I tend to put more thought and emphasis on those items since I’m in them more than loungewear. I come home from work and immediately put on my pajamas, which I don’t like. Sometimes my husband will want to go to dinner after work and I feel like I want to get out of my work clothes, but then I don’t want to thrown on something too comfy looking. I also find when the weekend rolls around I have no idea what to wear so I throw something together that I’m not completely in love with and end up feeling frumpy. I just found your blog yesterday and I have to say your outfits have given me a lot of inspiration for new ideas. Great job! 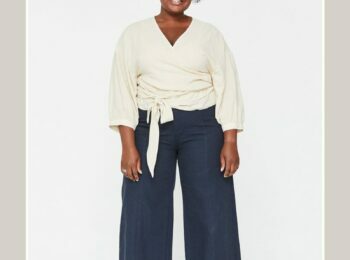 I’m terrible when it comes to loungewear since I tend to stay in the same outfit all day until bed time, but I do have to say I *love* Corinne Collection. I bought her cropped tee with the knot detailing over black Friday and it is one of my favorite recent purchases. I think the Corrie Top in French Terry would layer really well, and I’ve been looking for a cropped sweatshirt to pair with my Storq dress and skirt. Dangit! I was just thinking that I don’t need to buy anymore shoes for a while and then I saw your babouches (babos with a cushioned sole!) and now I am so tempted. What is the sole like? Is there any arch support? From garmentory’s website pictures, it almost looks like a crepe or cork sole. BTW I like the loungewear capsule as I tend to dress more casually even for work. Great post! Being a little nitty bitty here… it says that Base Range are made in Peru but I think they’re made in Portugal. Love the fact that you’re posting about loungewear! It’s something I’m doing at home now because I’ve decided that being in the most special place in the world (home) deserves wearing something you love and makes you feel good. I really love how pulled together this is. I was a bit surprised there are so many pieces but it kind of makes sense if you reach for something from this capsule everyday. Makes me rethink my one old sweatshirt and baggy jeans I pull on every evening. Great post! Very nice post, Lee. 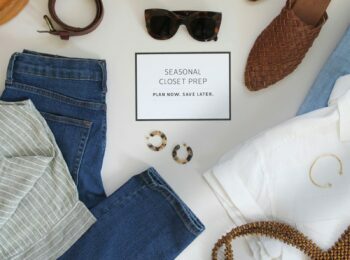 I just organized a “comfy capsule” for myself this weekend, just in time for the first day of Spring today. Happy Equinox– the season change almost always makes me want to clean and get rid of old stuff! Also, please post pics of you looking oh-so-cozy in this great capsule collection. It is beautiful, even though it is Comfy Town. We want to see at-home-Lee-bee looking stylish, even in her lounge wear. It makes us feel inspired and prompted to try and envious and hopeful, all at the same time! Thanks! After your first post regarding lounge wear I realized I did the same as everyone: just wearing old, not loved pieces from my wardrobe as loungewear. It didn’t make me feel happy but I never thought about it from another point of view. After your post I wanted to change this section as well. I found a very nice sweatpant on sale and I now want to see if I can find a cardigan and some nice tee shirts. I love the items you’ve chosen as I am looking to add to my loungewear with more responsible brands. 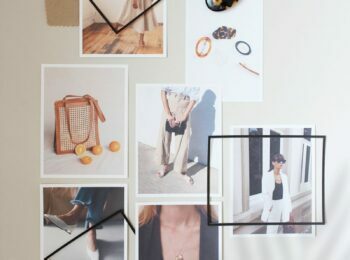 I have been lusting after Monrow made in LA lately https://www.monrow.com/blogs/the-m-o/so-fresh-n-so-spring. Here in southern california we are all about loungewear and surf brand wear. Hopefully more sleepwear, loungewear and surf brand clothes will shift to more responsible manufacturing practices in the future. Thank you for spreading the word about responsible brands! 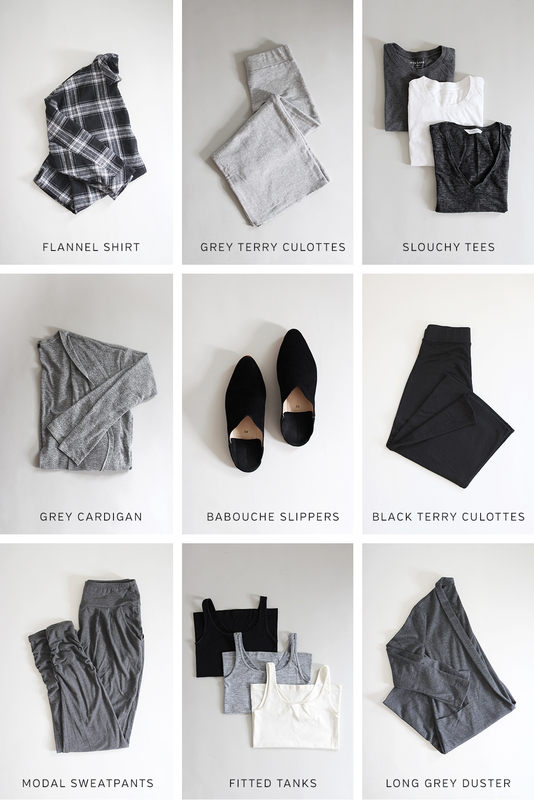 Thanks for covering critical wardrobe segments like loungewear, rain gear, and sleepwear! These parts of our wardrobes are just as important as what we wear to work and when we’re out being social. I know I want to feel like I still have my personal sense of style even when I’m teleworking or hanging out comfortably at home. If I can feel put-together rather than sloppy, it’s a huge confidence boost. I think the less-glamorous aspect of loungewear makes it something that fewer style blogs spend much time on, so I really appreciate you doing this. I’m very excited to see your styling, and you’ve given me a lot of ideas for organization already. It’s a lovely, responsibly-made/sustainable/organic/NY-made line that my yoga teacher and her sister started. I have the grey slouchy pants and they’re absurdly comfortable!